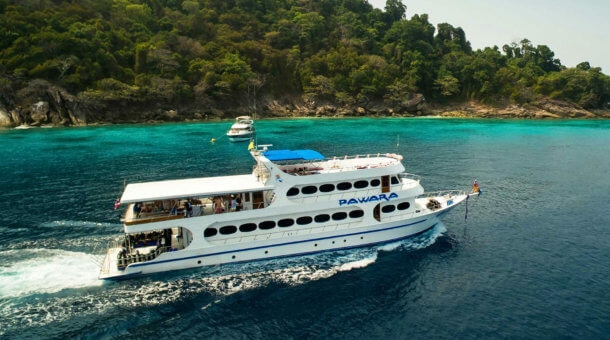 The Similan Islands have long been established as the best area for diving in Thailand. 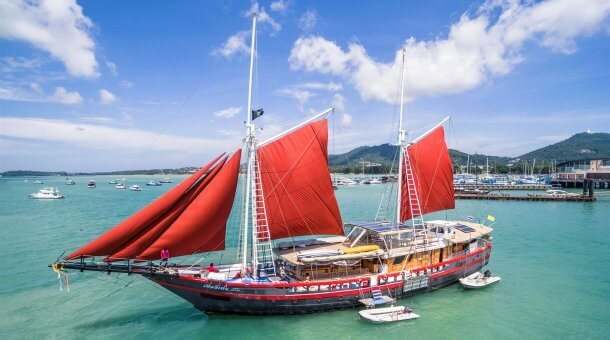 Liveaboards have been operating since the 1990s heading to the main Similan Island chain, plus Koh Bon, Koh Tachai and Richelieu Rock to the north. 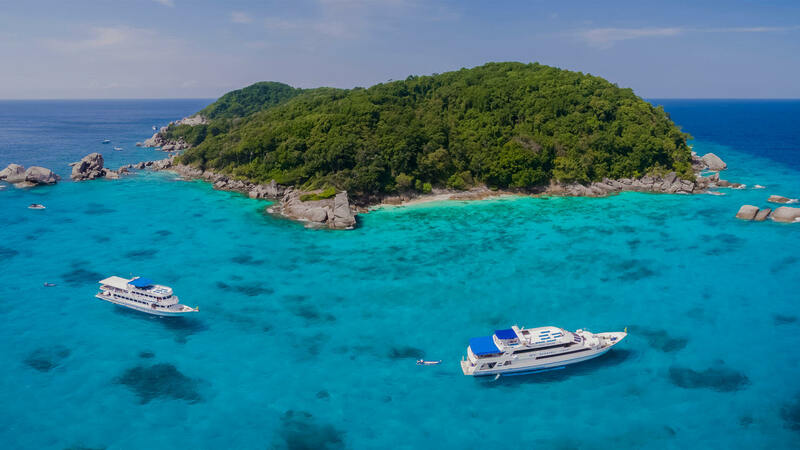 Some trips also stop at the Surin islands about 100km north of Similan. 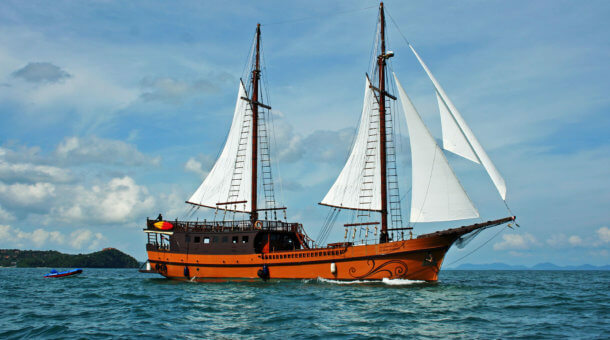 There are many liveaboard options for all budgets and trips from 2 – 6 days departing from Phuket or Khao Lak. 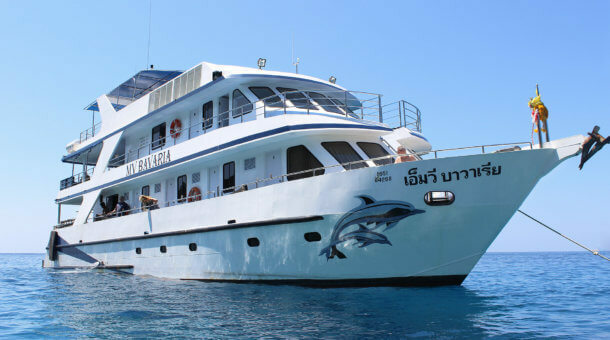 Sunrise Divers has been here in Phuket since 1999 and we are the main local agent for many Similan Islands liveaboards. 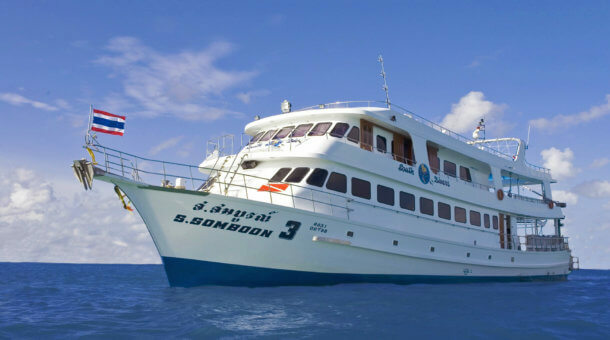 We carefully choose what we consider to be the best boats in all price grades so we can offer our guests a great Similan Islands liveaboard experience. 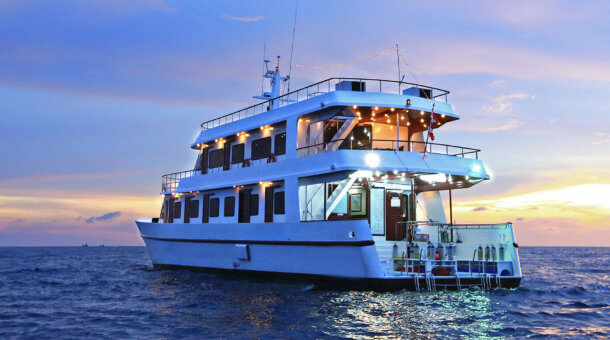 If you have a quick question about liveaboards or want some expert advice, please do send us a quick enquiry, or email to info@sunrise-divers.com, or call our mobile hotline + 66 8 4626 4646. 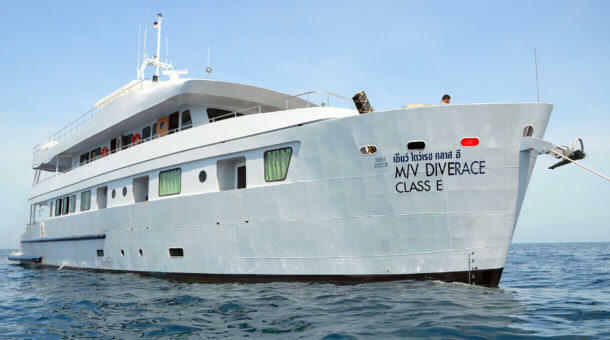 Let us know when you want to dive, what budget you have for a trip and we’ll find the best liveaboard option for you! 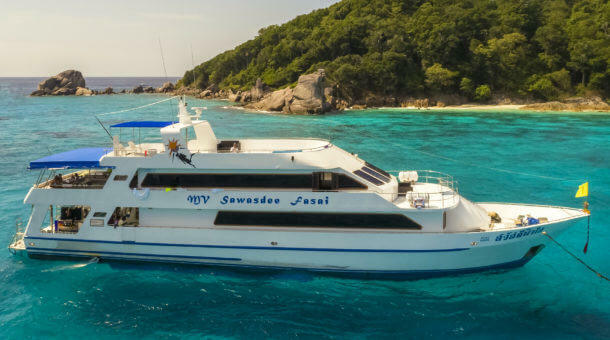 Payment for Similan Islands liveaboards can be made online by credit card with zero card fees and we can hold a no-obligation reservation for you with no deposit. Contact us today and see you here! 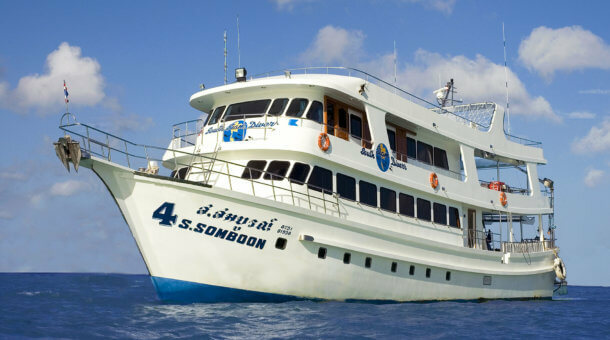 Similan Liveaboards - Contact Sunrise Divers! 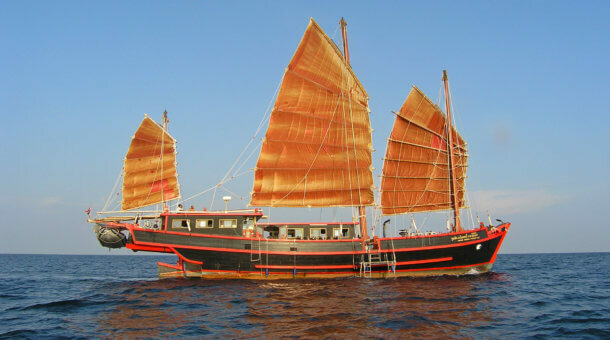 We hope this page helps you to choose a Similan Islands trip. 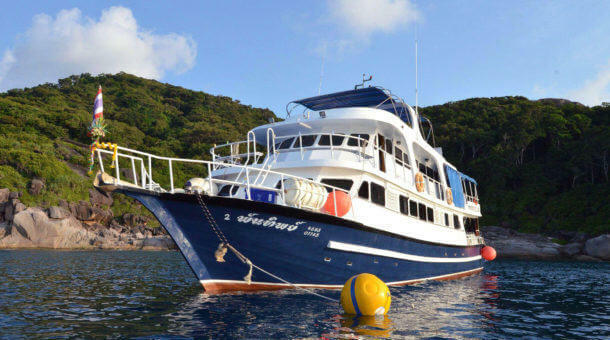 We'd suggest that you make a Liveaboard Trip Search to make it easier to find liveaboards that suit your holiday dates. If you can't find exactly the right boat for you or need more personal help, please contact Sunrise Divers and tell us what you need. We are the local experts! 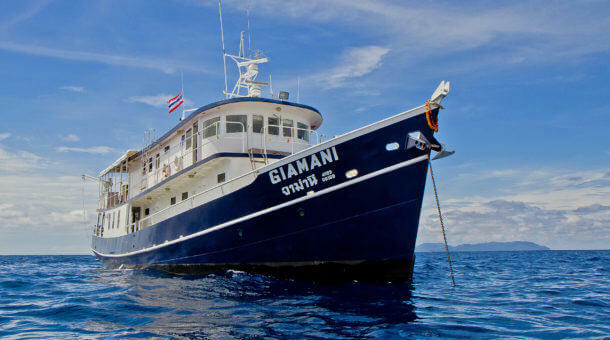 We know the boats, we have logged thousands of dives in the area, and nobody knows Similan islands liveaboards better than us! Contact us .. we will help you! 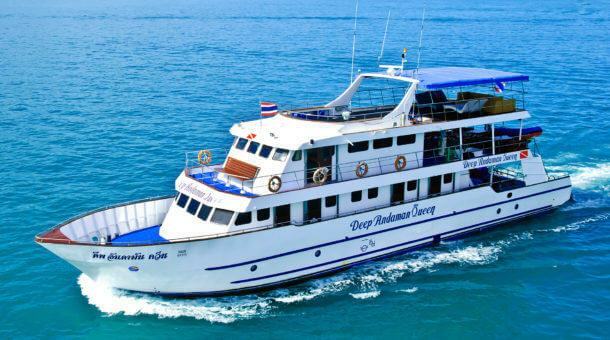 If you are planning a dive trip to Thailand in the near future we suggest you bookmark this page for easy future reference. 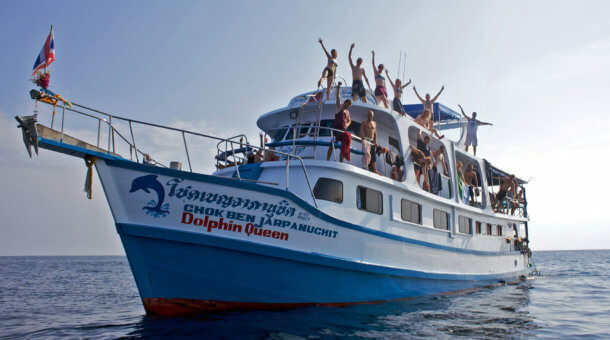 We also have local day trips around Phuket and Phi Phi and we run PADI courses here at our PADI 5 star dive shop. Hope to see you in person! Contact us today! !